In recent years there has been much talk of immigration in relation to the European Union, as within the EU there is freedom of movement between nations. The first of these free movement agreements which included the UK was made in 1973. Some people do not believe that there should be free movement of workers in and out of the UK. In the run up to the Brexit vote in 2016 tensions were particularly high. 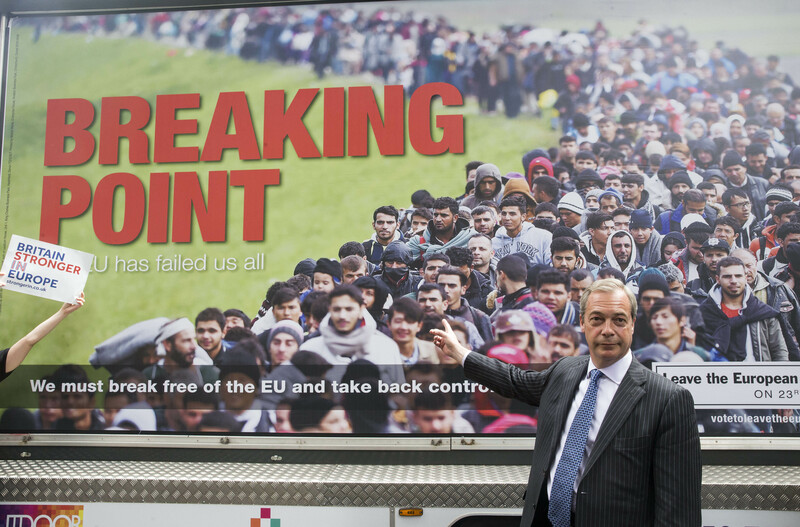 This photograph depicts a controversial anti-immigration poster unveiled by Nigel Farage, leader of UKIP at the time, as part of the Leave campaign.